A riveting look at the life of legendary DJ "Petey" Greene, Talk to Me goes beyond the typical biopic with explosive performances from Don Cheadle and Chiwetal Ejiofor. In the mid-to-late 1960s, in Washington, D.C., vibrant soul music and exploding social consciousness were combining to unique and powerful effect. It was the place and time for Ralph Waldo "Petey" Greene Jr. to fully express himself--sometimes to outrageous effect--and "tell it like it is." With the support of his irrepressible and tempestuous girlfriend Vernell, the newly minted ex-con talks his way into an on-air radio gig at WOL-AM, where fellow prison inmate Milo's brother Dewey Hughes is the program director. At the station, Petey becomes an iconic radio personality, surpassing even the established popularity of his fellow disc jockeys, Nighthawk and Sunny Jim. Combining biting humor with social commentary, Petey openly courts controversy for station owner E.G. Sonderling. Petey was determined to make not just himself but his community heard during an exciting and turbulent period in American history. As Petey's voice, humor, and spirit surge across the airwaves with the vitality of the era, listeners tune in to hear not only incredible music but also a man speaking directly to them about race and power in America like few people ever have. Through the years, Petey's "The truth just is" style--on and off the air--would redefine both Petey and Dewey, and empower each to become the man he would most like to be. RT on DVD: Spider-Man 3 Arrives, My So-Called Life Re-issued! In its wrenching shift from farce to tragedy, and its evocation of the bridge offered by friendship, Talk to Me tells it, and keeps on tellin' it, much as 'Petey' Greene would have. It's a visually and aurally riveting trip to an important time from a perspective few here will know, about a person worth meeting. A stronger screenplay and more sensitive direction would have made this movie into something far more genuinely uplifting than it is. The movie is decent enough, but contains Greene's story in a sentimentalised career arc. A traditionally handsome biopic bursting with 1960s period detail and firecracker performances, Talk To Me tackles one of the most volatile periods in American history, but tragically finds nothing interesting to say about it. Though funny in places, the film lacks any decent secondary characters... but it's easy to see why Lemmons would decide to keep the camera as much as possible on the two excellent central performances. Cheadle's skillful performance makes Petey a flawed hero worth rooting for, even when his actions offend. Ejiofor also impresses with his subtle turn as the conflicted, success-hungry Dewey. In addition, the film boasts an excellent sound track. Kasi Lemmons' radio drama of flamboyance, fury and finesse cranks the funk on a sister station to "Talk Radio" and "Good Morning Vietnam," powered by two performances of impeccable clarity and cut from Don Cheadle and Chiwetel Ejiofor. Although the director succumbs to the genreâ(TM)s temptation to wrap up a messy life with a neat, platitudinous resolution, she lets her cast give Greene and his era its due. Talk to Me is an incisive portrait of a provocative figure. It comes very close to caricature, but remains human and lively. Just as she did in Hustle and Flow, Taraji P. Henson steals many a scene and is wonderful as Greene's flamboyant girlfriend. 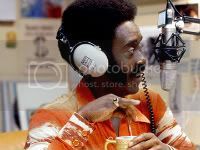 Brilliant drama, Talk To Me based on the life of radio DJ Ralph "Petey" Greene, manages to be an engrossing picture, one that is engaging from the first frame onwards. I thought that the film's story was well written, and it boasted a great script, only elevated by two great performances its lead actors Don Cheadle and Chiwetel Ejiofor, who have terrific on-screen chemistry, which makes this a stunning and accomplished drama. Greene was a controversial figure, and he wasn't afraid to speak his minds, and stand up for what he believed in. Cheadle channels that perfectly, and his performance here ranked as one of his finest of his career. Talk To Me is an accomplished drama, one that has hints of humor, just adds something a bit more to the serious story, and it works. The story and acting is sure to delight genre fans, and overall this is a compelling drama worth seeing due to its subject, it's acting and exceptional direction. Don Cheadle is always great to watch on-screen and here he delivers something unique and elevates his filmography even further because, he simply commands the screen with his presence, and the pairing of him and terrific actor, Ejiiofor is what makes this film definitely worth your time. I have a background in Radio, studied for four years in college, and seeing this film was a treat. "Petey" Greene was unique, and it's great to see Cheadle playing such a great figure and he brings his unique style to the role, which adds so much depth to the screen. Talk To Me is a great drama that is elevated by its cast, story and direction. If you love the genre, give this drama a shot, you'll surely find it very entertaining. A morning talk show host mobilizes a network of listeners during the Civil Rights era. The first act of this film sets up themes of negotiating "blackness," and set as it is during the Civil Rights era, this is an interesting question, pitting the executive against the ex-con. But the plot eventually degrades into thematically irrelevant and unfocused interpersonal dynamics that make the film as a whole more like My Week with Marilyn than Malcolm X, as Dewey Hughes, the radio executive, must keep Petey Greene, the host, from sabotaging both their careers. The performances by Don Cheadle, whose antics are barely on the right side of believability, and Chiwetel Ejiofor are very good. I especially like Ejiofor whose reserve and intensity are characteristic of his fine body of work. Overall, though the film has promise at the beginning, this biopic ultimately doesn't live up to expectations; it's just good enough to make me wish it were better. Another feather in Mr. Cheadle's cap. Super-fun movie with a solid dose of history. Always nice to see a well-done true-story. Along with Don Cheadle, there are many good performances in Talk to Me, including Chiwetel Ejiofor, Taraji P. Henson (who could be hilarious), Cedric the Entertainer and Vondie Curtis Hall. Martin Sheen could have phoned in his part as the one-dimensional "irate then calm" boss. Greene's story is an affecting one in that he was another person who rose from a criminal youth to prison, but had a talent with words on the air. Many people are afraid of the microphone, but not Petey. Unfortunately, out of that element, Petey fell as fast as he rose. Very entertaining not-too-heavy drama with a solid soundtrack.